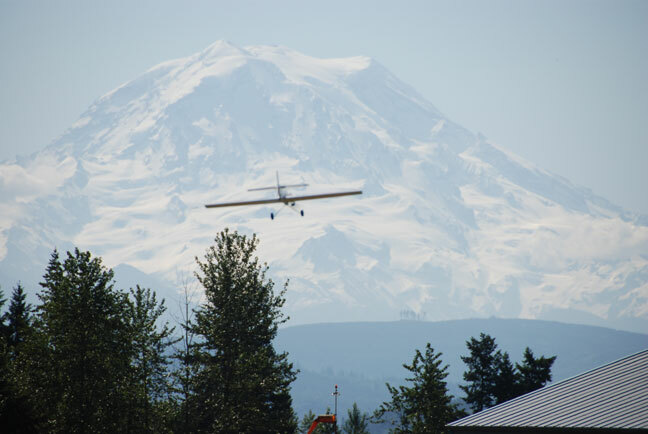 There's probably not a more scenic flying field for a contest in the Northwest than the Pierce County Airport (Thun Field) in Puyallup, Wash., where stunt planes fly with Mount Rainier in the background. Flying Lines photo. 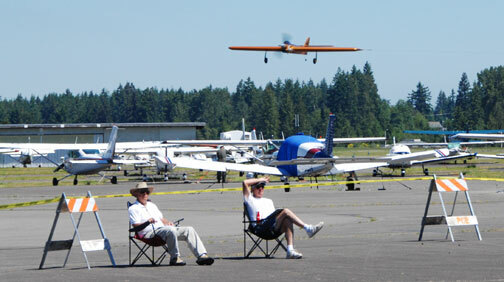 June 12-13, 2010, Pierce County Airport (Thun Field), Puyallup, Wash. 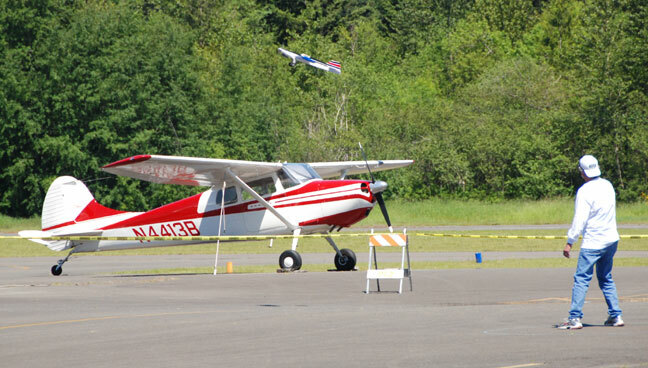 The Northwest Skyraiders under the direction of Contest Director Dave Gardner, his able chief tabulator and Angela Gardner and a host of volunteers carried off the annual Stunt-a-thon in flawless fashion with a strong attendance of Northwest aerobatics fliers. Glorious Mount Rainier and a classic DC3 made for an inspiring backdrop. Saturday's attendance was down a bit from the norm, but Sunday Precision Aerobatics competition drew lots of fliers from all over the region. Weather was almost ideal for both days, with a bit of breeze, sometimes shifty, but never to the point that it stopped anyone from flying. And some excellent flights were seen over the course of the weekend. Winners received elegants plaques along with prizes of airplane dope, coffee mugs and other goodies. Photo: Classic Stunt and profile pits on Saturday. Flying Lines photo. 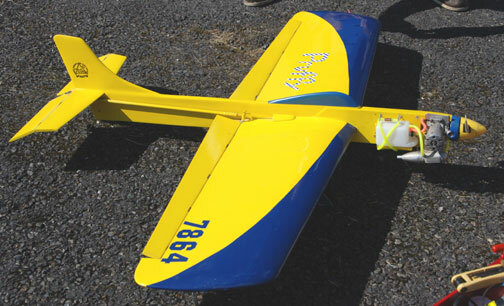 One of the new planes on the contest trail this year, seen for the first time at the Stunt-a-Thon, is Pete Ferguson's Impact. Flying Lines photo. 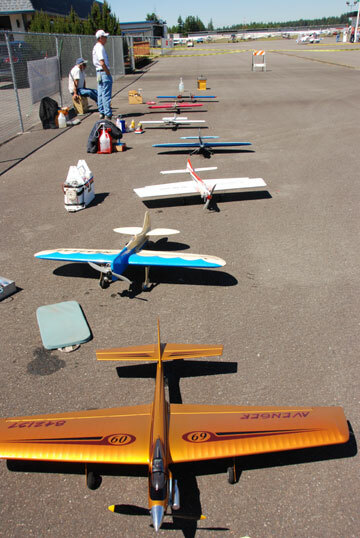 After all the cut fingers at the 2010 Regionals on Memorial Day Weekend, some fliers have started painting their prop tips for better visibility. Above, Mark Scarborough tachs the engine on his Avenger. 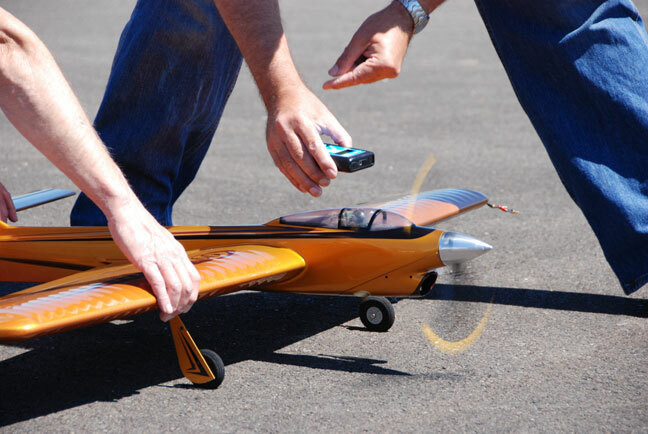 The yellow streaks show how far the prop tips move in 1/640 of a second. Flying Lines photo. 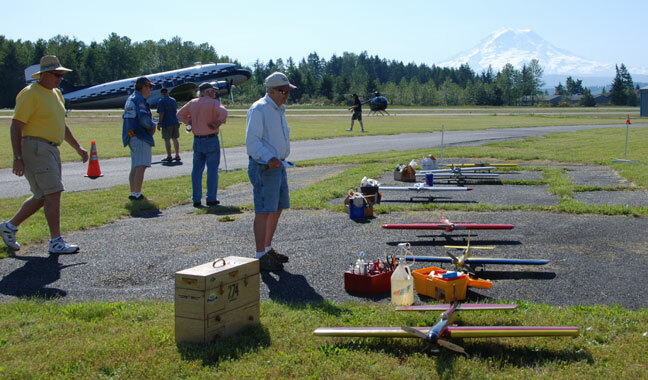 Beginner-Intermediate Precision Aerobatics pits on Sunday, with DC3 and Mount Rainier in the background. Flying Lines photo. Classic Stunt judges Paul Walker (left) and Mike Haverly watch Mark Scarborough's Avenger pass by. Flying Lines photo. 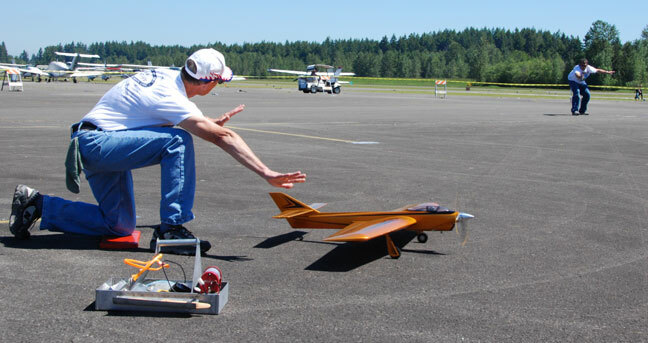 Mike Denlis demonstrates perfect launch technique, as Mark Scarborough takes off with the Avenger. The Avenger is the celebrity of new planes this year, and its designer, Don Schulz, was on hand to get a close look at it. Flying Lines photo. The airport setting adds a lot of interest to the contest. 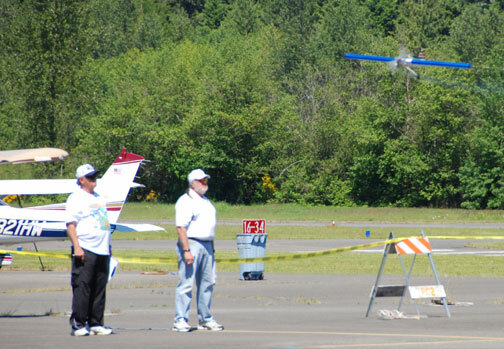 Here, Steve Helmick flies his KISS profile with a parked Cessna in the background. Flying Lines photo. Precision Aerobatics pits on Sunday with the Hangar Inn restaurant in the background. Flying Lines photo. Profile Stunt judges Pete Peterson (left) and Bruce Hunt watch Steve Helmick's plane pass. Flying Lines photo. Buzz Wilson's Pruffy, a profile Ruffy. Flying Lines photo. What a flying site! Flying Lines photos. 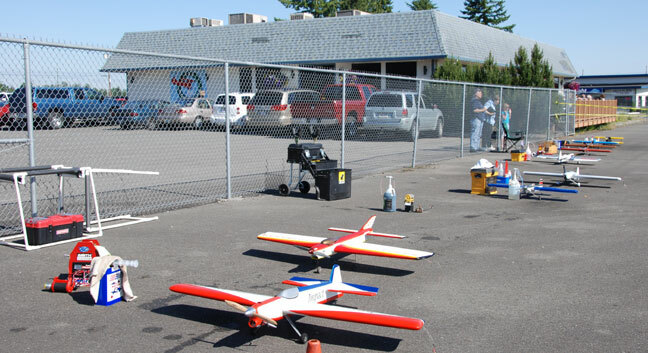 Results of this contest are included in the Northwest Competition Standings.